Bullets 1st - 7.62x51mm M80 Ball Linked ammunition with a FMJ 147 Grain Bullet, Lead Core and Brass Case. Meets SAAMI specifications. Manufactured at American Marksman facilities with the same Lake City Brass & Bullets that our Military uses. 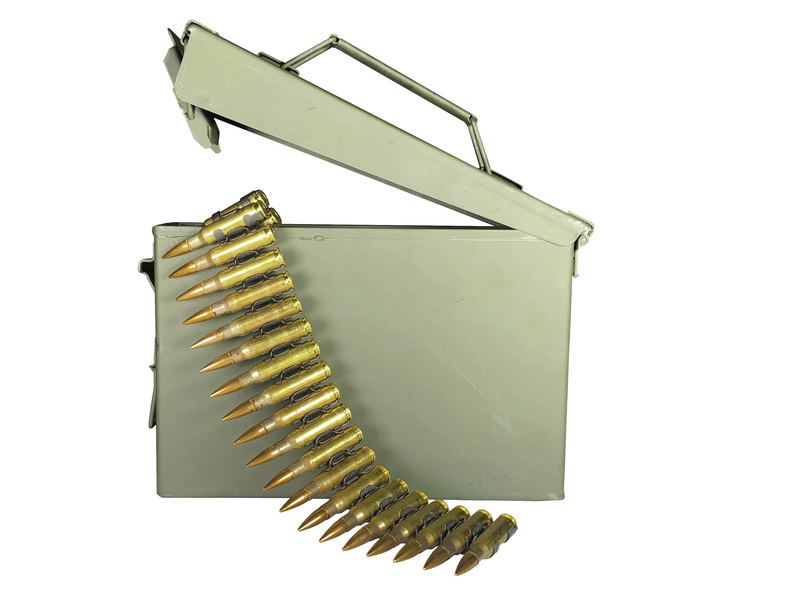 Each ammo can contains 2 belts of 7.62x51mm linked ammo, each with 100 rounds.